Ever travel or visit an other country or state and wonder where to eat? 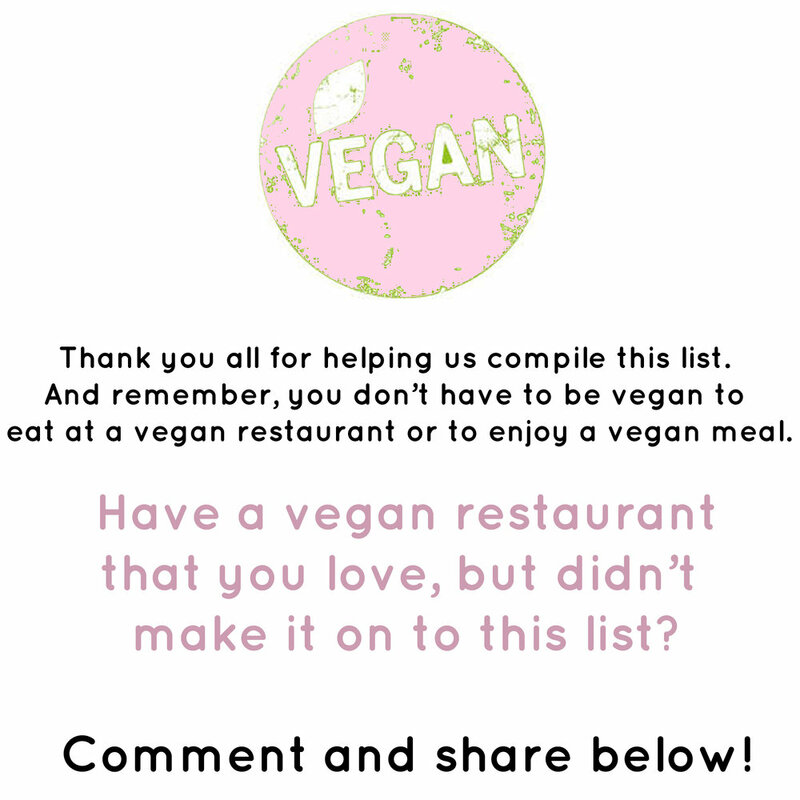 We thought it would be fun to compile a list of your favorite vegan spots! We asked all of you on Instagram [if you're not following along with us there, join our instagram family HERE ] to share your favorite vegan spots with us!. *Disclaimer: Some of these restaurants are not 100% vegan. Some are vegetarian with vegan options and some just have really great vegan options!